Languedoc producer located in the Terrasses du Larzac. Top quality producer in the area. 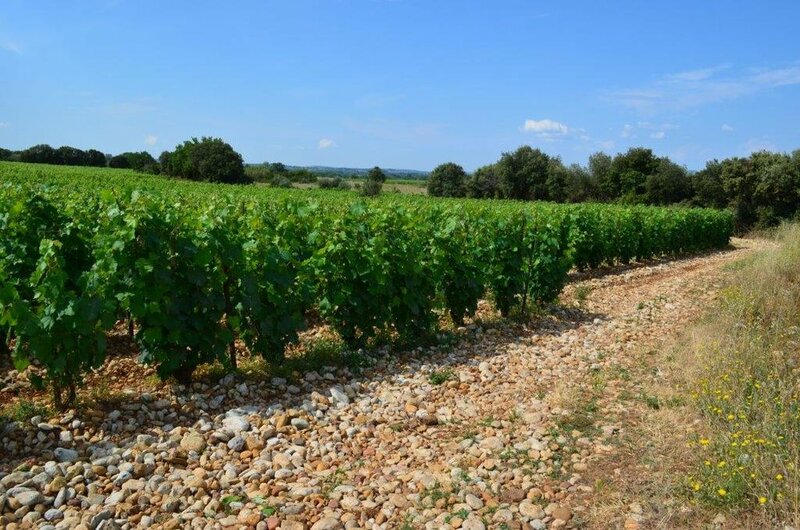 "One of my favorite estates in the Languedoc is unquestionably that of the young Frédéric Pourtalié"
Frédéric Pourtalié farms around twenty-five hectares of vines in the newly created appellation of the Terrasses de Larzac. Based in Puechabon, some of the vines are in the neighboring villages of Aniane and Saint Saturnin. Until 1998, this family-owned domaine sold all if its grapes to the local cooperative. In 1999 Frédéric and his sister Muriel took the helm of Domaine Montcalmès, and for the first time produced and bottled wine from their own vineyards. Frédéric took his time before making this decision, having sharpened his skills with Alain Graillot (Crozes Hermitage), the Alary family at L’Oratoire St. Martin and his neighbor, Laurent Vaillé at La Grange des Pères. Frédéric's property is located just a stone's throw from Grange des Pères, Mas de Daumas Gassac and Mas Julien. Frédéric's deep love and respect for the region’s terroir is apparent from the moment one engages him in conversation. His own vineyards include soils that range from clay and limestone (what Frédéric calls éboulis de calcaire or limestone scree) to pudding stones (galets roulés), like one finds in Châteauneuf du Pape. This diverse collection of terroirs gives the wines of Montcalmès balance, complexity and concentration. In addition to these distinct and poor soils, which provide a challenge for the vines, the other key to quality of these wines are the Cévennes mountains, which lie just north of the appellation. At night, cool air descends from the mountains, and quickly lowers the temperature in the vineyards by as much as 15-20 degrees celsius. The combination of warm days and cool nights helps to achieve an amazing balance between ripe fruit, bright acidity, and soft tannins. There are three red varieties in the blend; Syrah, which makes up 60-65% of the blend, Grenache (approx 20%), and Mourvèdre (15-20%). It is truly a testament to this terroir, that the grapes that Frédéric’s family were once selling off in bulk are now found in 3 Star Michelin restaurants across France and are sought after around the world. The nose of this wine is full of red cherry fruit, perfumed with hints of violet flowers. In the mouth the wine is full of blackberry, cassis, and black cherry fruit flavors, accented by subtle hints of garrigue spice. The finish is long and lingering, with soft velvety tannins. Though the wines are age worthy, it is the purity and elegance, that are the hallmarks of Domaine de Montcalmès, that make the wine equally enjoyable in its youth. The 2014 is available in Magnum, Jerobaum, Methuselah and Salmanazar.